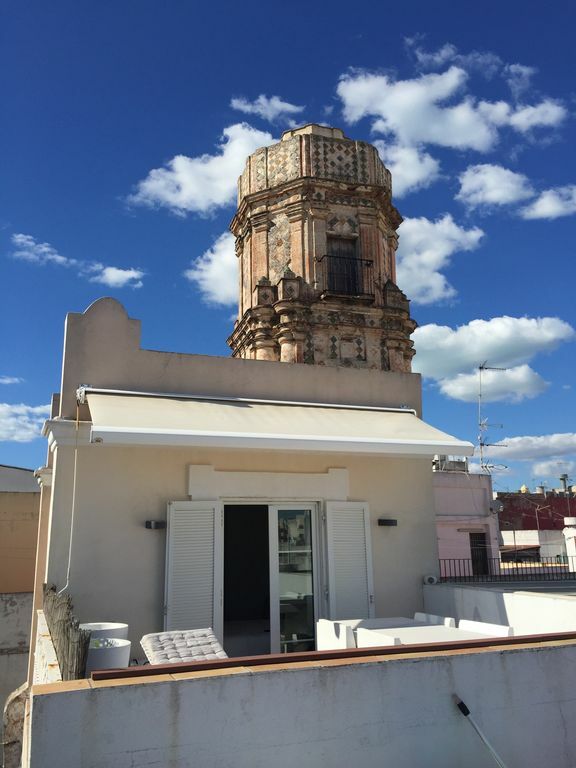 Wonderful penthouse with private terrace in one of the famous watchtowers of Cádiz. Totally outside, quiet and very bright, located in a eighteenth century building, conveniently located in the shopping area and museums. From your private terrace you can admire the cathedral and the covers of Cadiz. A 10 minute walk from the Caleta beach and close to bars and restaurants. Fully equipped and furnished wifi cable has 50 MB. Lovely modern apartment right in the middle of the main shopping area. Close to bars and restaurants and easy walking to the main sights. Split level sleeping arrangements so you need to get on! Lovely sun terrace. Nightmare to find by car in the narrow Cadiz streets. Park up and go by foot! Fabian met us and was really helpful. Thanks for a great stay. Great apartment in a great location with all the facilities you need. Fantastic roof terrace. Fabian was a friendly host who could be contacted at all times. Thanks! Lovely appartment in fantastic area in the old quarter of Cadiz. Bustling life below the rooftop. Views to the cathedral from terrace. Comfortable, air conditioned, clean and charming accommodation. Fabian the owner was very friendly and kind and gave us lots of information and advice on the whole area. Organised an additional fan during the heatwave. A great stay for sightseeing, shopping, eating out and going to the beach. Be prepared for a 15 minute walk from car park with suitcases. Well worth it! Carol and her husband are very friendly and nice people. They have left the apartment perfect. The comunication has been good. Inrecomended their like guests. L'appartement est très fonctionnel et meublé avec beaucoup de gout. C'est une très bonne adresse. Fewo gut eingerichtet, zentral in der Altstadt. Gute Einkaufsmöglichkeiten (Markthalle, Supermarkt) in der Nähe. Netter hilfsbereiter Vermieter. Lediglich ein deutsches Fernsehprogramm fehlte.